Professor Tsatsakis was born in June 1957 and is a Greek toxicologist. He was the first to notice the extraordinary power of combined effects at low doses in long-term of exposures in our everyday life and to set up an ambitious project which intends to provide multi-answers related to current concerns about mixtures of chemicals from many different sources at doses around or well below the regulatory limits. His hypothesis of an increase cumulative risk from simultaneous exposure of chemicals around considered safe levels could be the starting point for passing from single-compound risk assessment to the era of cumulative risk assessment. Aristides Tsatsakis is the Director of the Department of Toxicology and Forensic Sciences of the Medical School at the University of Crete and the University Hospital of Heraklion and also the Chairman of the Division of Morphology of the Medical School of the University of Crete in Greece. He is teaching the toxicology course for medical students and specialized toxicology topics for postgraduate programs in few universities for 30 years. He also supervised over 30 PhDs. Aristides Tsatsakis is Emeritus Professor for the Erisman Russian Federal Institute of Hygiene and Toxicology in Moscow (2014), Doctor Honoris Causa of the Mendeleev Moscow University in Russia (2016), Doctor Honoris Causa of the Far East Federal University, FEFU, in Vladivostok (2017) and Doctor Honoris Causa of the Carol Davila, in Bucharest (2017). In 2016 prof. Tsatsakis was elected Foreign Member of the National Academy of Sciences of Russia (FMRAS). In 2017 he was elected Honorary Member of Bulgarian Toxicology Society and in 2018 Honorary President of the European Institute of Nutritional Medicine (E.I.Nu.M.) and Honorary Member of EUROTOX. In 2018 he was also elected Full Member of World Academy of Sciences (FMWAS). Aristides Tsatsakis has written over 1000 publications (books and abstracts proceedings), 400 of them peer reviewed in prestigious journals. He is holder of several patents and has an extensive array of over 10100 citations and 400000 reads /downloads to his papers as shown in scientific data bases. Dr Tsatsakis has given numerous lectures as keynote and has been plenary speaker in international congresses continuously for the last 20 years. Aristides Tsatsakis has coordinated as principal investigator over 40 scientific research and technology national, EU and international projects and established worldwide collaborations. Dr Tsatsakis is Editor of Food Chemical Toxicology (FCT, Elsevier), Editor in Chief of Toxicology Reports, Guest Editor of four special issues in Toxicology Letters (2), Toxicology and FCT journals, Guest editor of the RIFM-FCT issue, Associate Editor, member of the Editorial Boards in several other ISI indexed journals and the EiC of the TOFSJ. Aristides Tsatsakis was elected EUROTOX Vice President in 2012 and was the President (2014-2016) of the Federation of European Toxicologists and European Societies of Toxicology (EUROTOX). Dr Tsatsakis was long standing President (2002-2016) and now Emeritus President of the Hellenic Society of Toxicology. 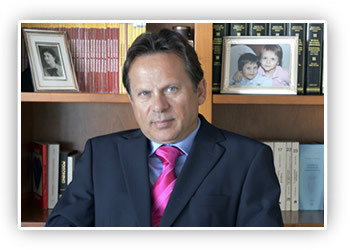 He is the Chairman of the Hellenic ERT-HST national Registry and member of several Scientific Academies and Societies. Aristides Tsatsakis has cooperated with key national and international organizations such as WHO-IPCS and National Drug Authority and he has received the Inter Res Prom Council, IRPC 200, Eminent scientist Gold Award. He received in 2017 Award from the Greek Ministry of Agriculture for his contribution in European Toxicology. 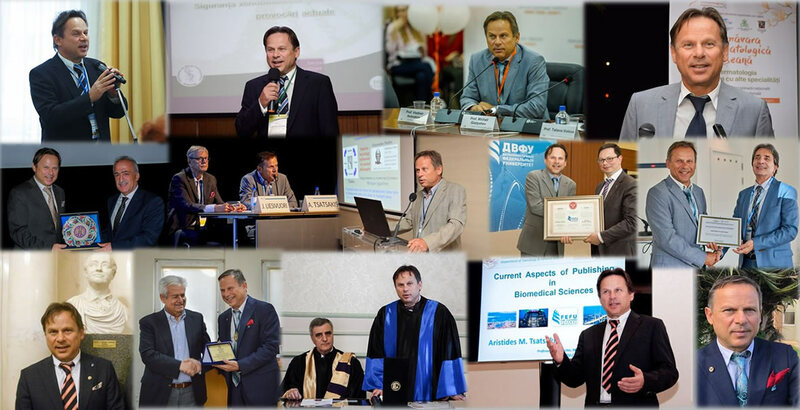 Aristides Tsatsakis has organized as president several international Congresses in the field of toxicology and forensic science, like the EUROTOX 2008 in Rhodes, Greece. Dr Tsatsakis is also the president of the international BIONANOTOX conferences (2009 to 2017). Aristides Tsatsakis is the inspiratory, founder and current president of the high-tech knowledge and research University of Crete spin-off Company ToxPlus S.A.
His main believe is that the science of toxicology is a basic necessity for living and well-being and should be strengthened as an academic discipline as it represents the necessity in protecting the health of consumers, workers, people and the environment. When acting as President of the Federation of European Toxicologists and European Societies of Toxicology (EUROTOX) took major steps for the advancement of the harmonization process and for the registration of toxicologists in Europe and worldwide in specialization issues. In his opening speech during 2016 Eurotox congress he stated that toxicology provides the basics for human health and the environment for well living and being. The main research interests of Professor Tsatsakis include biomonitoring and risk assessments of xenobiotics as well as links of chronic exposure to them at low doses with health problems and diseases. He developed numerous biomarkers of exposure and of effects for various chemicals, in particular pesticides, pharmaceuticals, etc., uncovering the mechanistic understanding of the mode of action and adverse outcome pathways leading to clinical effects. Dr Tsatsakis integrated experimental in vivo and vitro studies with epidemiological evidence especially in the field of pesticide toxicology, epidemiology and hygiene, and work out the data sets for better understanding of the associations that predetermine plausibility and credibility in order to be used efficient for regulatory directives and norms for the protection of the society and the environment in general. He penetrated with his works aspects of concerning a large variety of xenobiotics of resent interest lately concentrated in effects of endocrine disruption, carcinogenicity, reproduction and neurodegenerative disease. His articles are easily assessed in international highly impact journals. Lately his present ambitious project is about setting a new experimental methodology which intends to provide at one strike multi-answers to multi-questions related to current concerns about mixtures of chemicals from many different sources at doses around or well below the regulatory limits, to which general population is exposed every day. The experiments already started in different laboratories around world (including Russia, Romania, Iran, Italy, Greece and Korea) and if the hypothesis of an increase cumulative risk from simultaneous exposure of chemicals around ADI/TDI levels is proven, that could be the starting point for passing from single-compound risk assessment to the era of cumulative risk assessment at low-doses realistic exposure.